In April 1927, 25-year-old photographer Ansel Adams and a handful of friends climbed toward Half Dome at Yosemite National Park in California. The iconic granite peak, round except for one sheer vertical face, rises nearly 5,000 feet above the valley floor. They lugged Adams’s bulky view camera, wooden tripod and 12 glass-plate negatives up a rocky cleft scoured by a chilly wind, while Virginia Best (who married Adams the following January) filmed their adventure. The group watched a waterfall roaring down into the canyon. They crossed patches of snow and ice and sheer rock until Adams reached the Diving Board, a granite shelf on the west shoulder of Half Dome, overhanging the valley below. By the time, Adams got there, he had used all but two of the negatives. 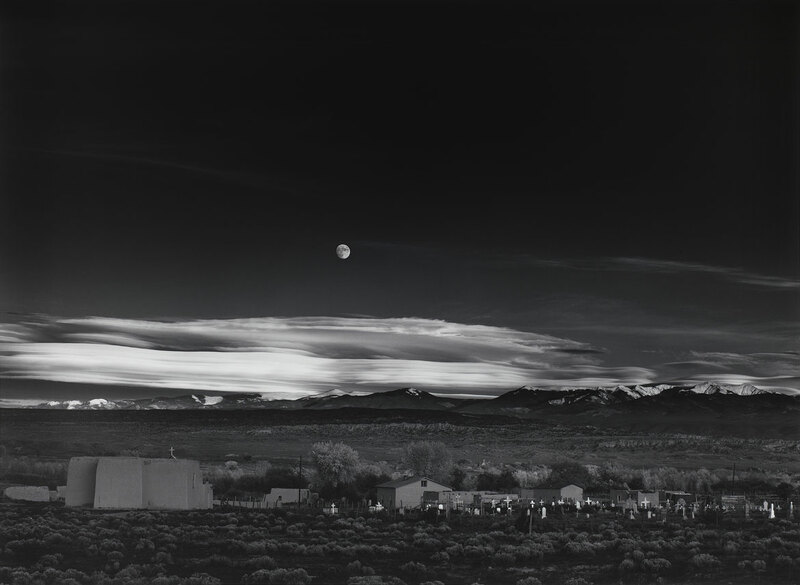 The resulting photo is one of five that open the exhibition “Ansel Adams in Our Time” at Boston’s Museum of Fine Arts from Dec. 13, 2018, to Feb. 24, 2019. 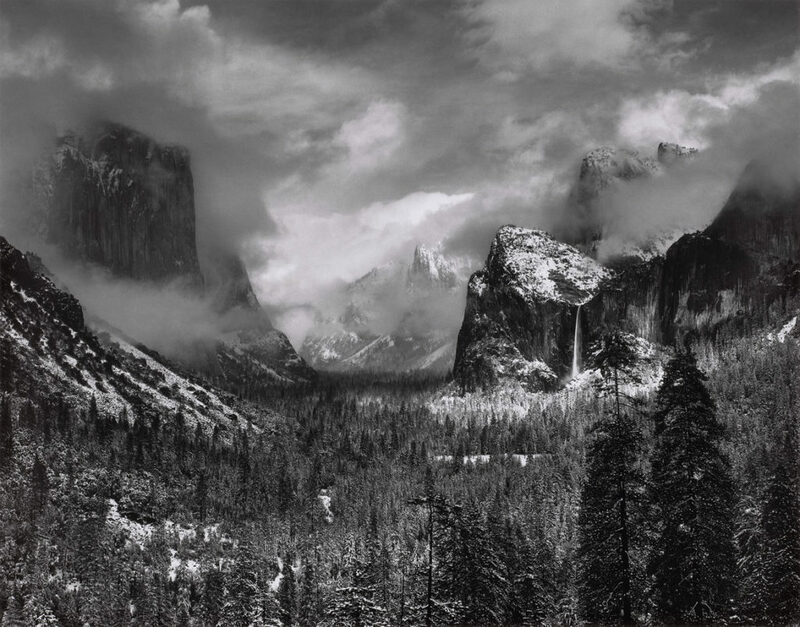 Nearby is Adams’s photo from a decade later of “Clearing Winter Storm, Yosemite National Park,” of majestic clouds raked by the snowy valley’s peaks. 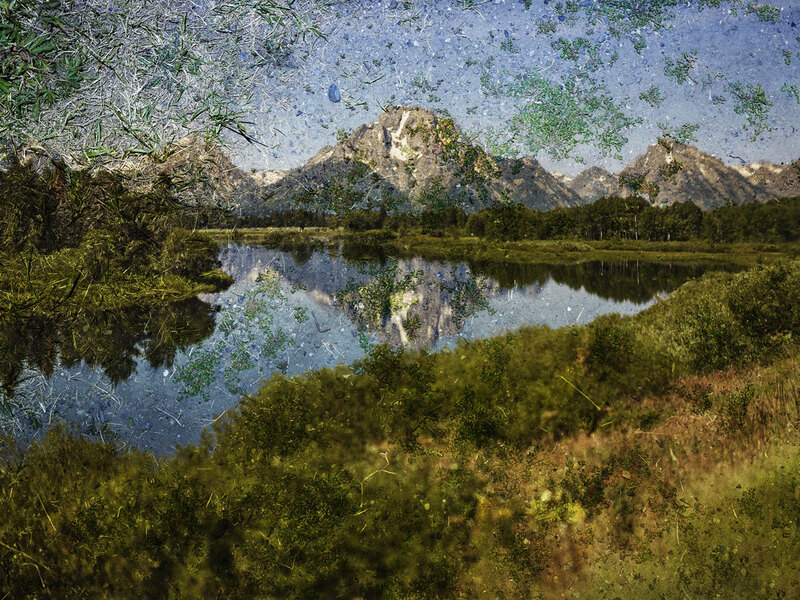 The show ranges through photos of the moon rising over a New Mexico cemetery and the shimmering Snake River winding toward Wyoming’s Grand Tetons and other classic photos that have come to define the places. “We start in Yosemite, which was his home place, which really was his touchstone throughout his life,” says MFA curator Karen Haas, who organized the show. She aims to put Adams in context. “Adams has always been one of those artists who has been treated as a singular figure, came out of nowhere, influenced by no one.” Haas aims to situate Adams between the 19th century surveyor photographers who preceded him and the 20th and 21st century conceptual photographers who followed, interrogating and deconstructing what had come before. The first recorded visit to Yosemite Valley by non-indigenous people was an 1851 patrol by the Mariposa Battalion, a state-sponsored militia sent to eradicate indigenous people from the area. The 19th century photographers who followed were often surveyors—military analysts figuring out the lay of the land so they could help eradicate native peoples or real estate prospectors looking for the best places to lay down railroad tracks or throw up buildings. 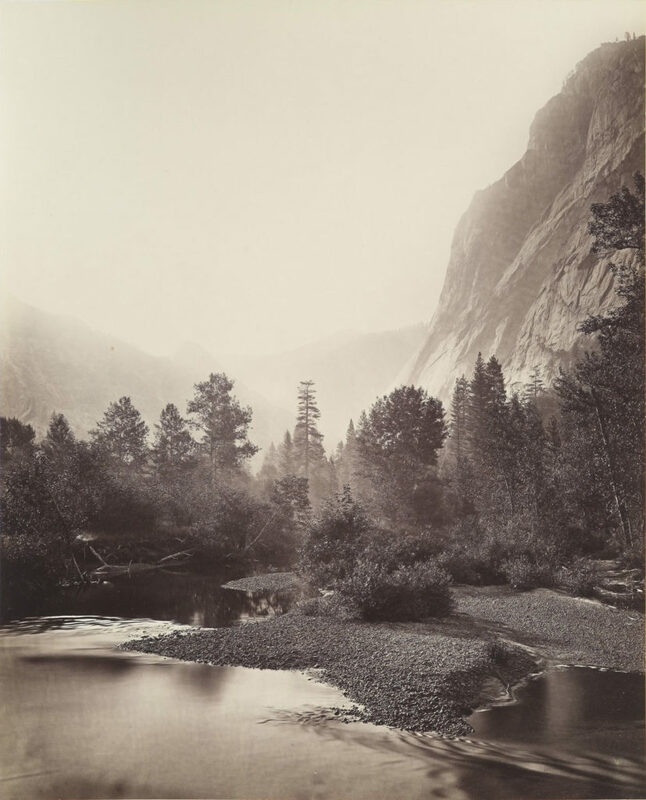 Carleton Watkins’s early 1860s photos of Yosemite Falls, Haas says, “convinced [President Abraham] Lincoln and Congress, at the height of the Civil War, to set aside Yosemite as protected land” in 1864. But Timothy O’Sullivan was the official photographer of the 1873 Wheeler Survey of Arizona and New Mexico territories by the U.S. War Department “to assist in [military] operations against the tribes living there,” the museum reports. Eadweard Muybridge photographed a river snaking through Yosemite’s sharp rocky peaks and deep valley in 1867 and 1872. George Fiske photographed people at Yosemite. Adams studied the photos of these predecessors (one photo here seems a copy or quotation of O’Sullivan) and was connected to this pioneer legacy through his own family. As Mary Street Alinder, Adams’s assistant from 1979 until his death in 1984, wrote in her 1996 biography “Ansel Adams,” his grandfather left Maine for San Francisco in 1850, attempting to strike it rich in the Gold Rush. He was unsuccessful with that, but launched a wholesale grocery in Sacramento that supplied other would-be miners. He sold that, returned to Maine to get hitched to a wealthy young widow, settled in San Francisco and built a lumber business chopping down virgin redwood tracts. He owned land, mills, a fleet of ships, and built a major San Francisco streetcar line. Ansel Adams (1902-1984) made his first visit to Yosemite in June 1916. He had become entranced with Yosemite and the Sierras from seeing a Southern Pacific Railroad display at San Francisco’s Panama Pacific International Exhibition in 1915 and reading up on the place. The 14-year-old traveled two days by train, about 175 miles due east from his family’s home in San Francisco to Yosemite. To record the trip, his family gave him his first camera. Adams returned to Yosemite in 1917, 1918 and 1919. During the winter of 1917 to 1918, he worked for a San Francisco photo finisher and began to learn darkroom techniques. He photographed during all his visits to Yosemite, developing a Pictorialist style—grand, often mythological and artfully blurred photography that aimed to attract esteem for the medium by resembling Western painting. 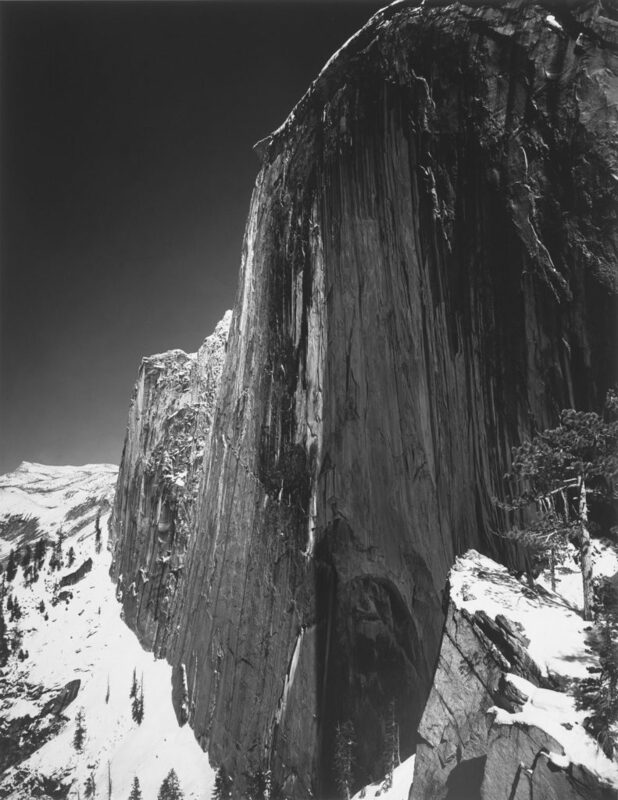 Adams’s 1927 photo of Half Dome showed him in transition. It was the standout among the portfolio he issued that year as “Parmelian Prints of the High Sierras.” In these early photos, his film bleached out the skies. 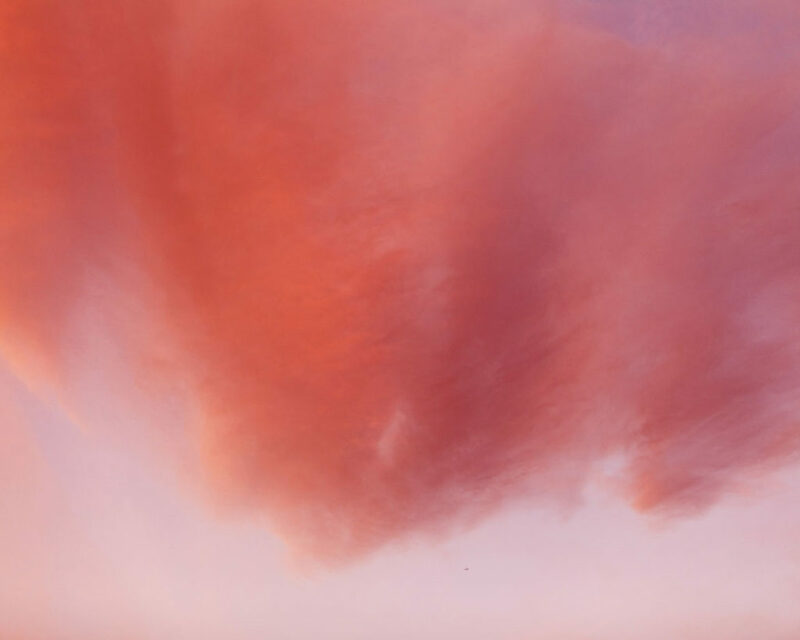 But he soon switched to more sensitive films that allowed him to capture the drama of clouds, so that “the sky becomes a more and more important player,” Haas says. You can see this in his 1932 photo “The Golden Gate Before the Bridge,” depicting the highlands where the bay meets the Pacific Ocean before construction of the suspension bridge began the following year. Adams situates the horizon low in the photo, devoting two-thirds to billowing clouds. “What he’s doing here is reveling in what his large camera can capture,” Haas says. In 1932, Adams exhibited the photo at San Francisco’s De Young Museum as part of a show of the Bay Area camera club known as Group f.64 that had formed that year. Members included Adams, Imogen Cunningham, Edward Weston, Sonya Noskowiak, Willard Van Dyke, and John Paul Edwards. The group’s name referred to f/64, the smallest aperture in large-format view cameras then, which put as much of the image as possible in crisp focus. They rejected the artfully blurred, musty, mystical trappings of Pictorialism, in favor of a modernist formalism that emphasized the technical distinctiveness of photography. “The group will show no work at any time that does not conform its standards of pure photography. Pure photography is defined as possessing no qualities of technique, composition or idea derivative of any other art form,” read a group statement shown on the walls of the De Young during the exhibition. “Ansel Adams in Our Time” reminds that Adams photographed urban detritus, documented Indigenous peoples, the tangle of a highway interchange. 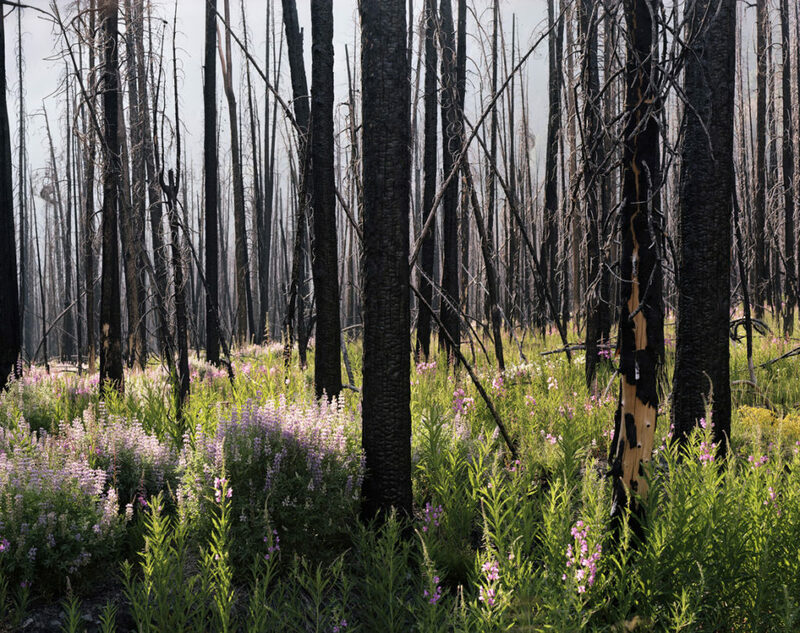 But what we come for are his glorious photos of seemingly untouched western American landscapes. 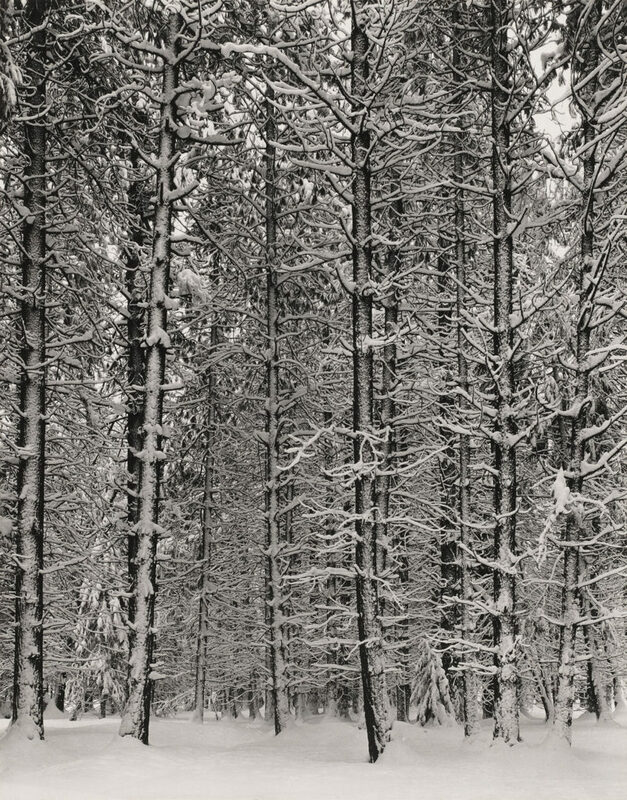 Adams returned again and again to Yosemite to photograph its forests and rivers and peaks in all seasons and all moods. Adams set out in the 1940s to cross the country photographing the National Parks—at first with federal funding and, after World War II dried that money up, supported by a 1946 Guggenheim grant. 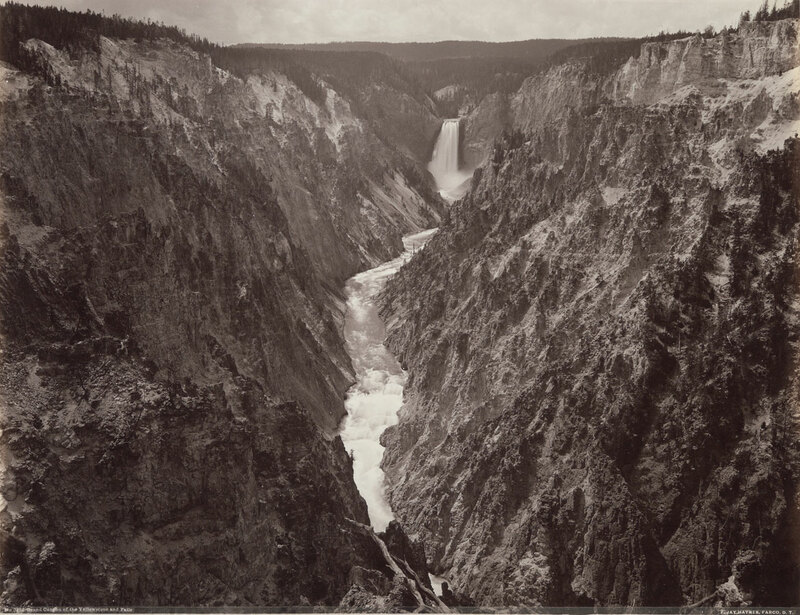 The MFA features his ravishing photos of Yellowstone’s Old Faithful geyser, the Grand Tetons’ Snake River, Pueblo dwellings at Colorado’s Mesa Verde National Park, ferns in Hawaii, the Grand Canyon, Alaska’s Mount McKinley, an autumn forest at Tennessee’s Great Smoky Mountains National Park. He published the book “My Camera in the National Parks” in 1950. “No artist has pictured the magnificence of the western states more eloquently,” Time magazine declared in 1951. Part of Adams success was that he was one of the best connected artists of his time—from the pioneering Bay Area photographers to Alfred Stieglitz, the photographer who ran a history-defining gallery in New York. (The exhibition’s effort to put Adams in context skips over his contemporaries.) When New York’s Museum of Modern Art launched a department of photography Adams was named vice-chair of the department advisory board and helped the department present its first show in December 1940. “In the 1940s, he’s already a very successful photographer, but he still has to make a living,” Haas says. Ansel and Virginia Adams published their “Illustrated Guide to Yosemite Valley” in 1940, updating and republishing it through 1963. Though Adams is best known for his images of the wilds of the American West, the exhibition includes a photo he took on a commission to document the U.S. Potash Company mine in 1941, run by his friend Horace Albright, former director of the National Park Service. Adams’s photos were featured in advertisements from Kodak promoting photography and tourism. 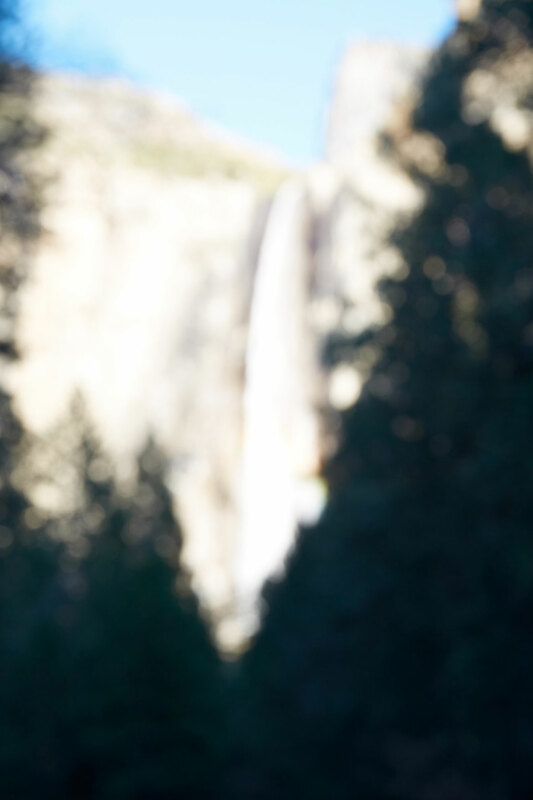 His photos appeared in annual reports from Bank of America, Pacific Gas and Electric, Polaroid Corporation and the Curry Company, which ran concessions at Yosemite. 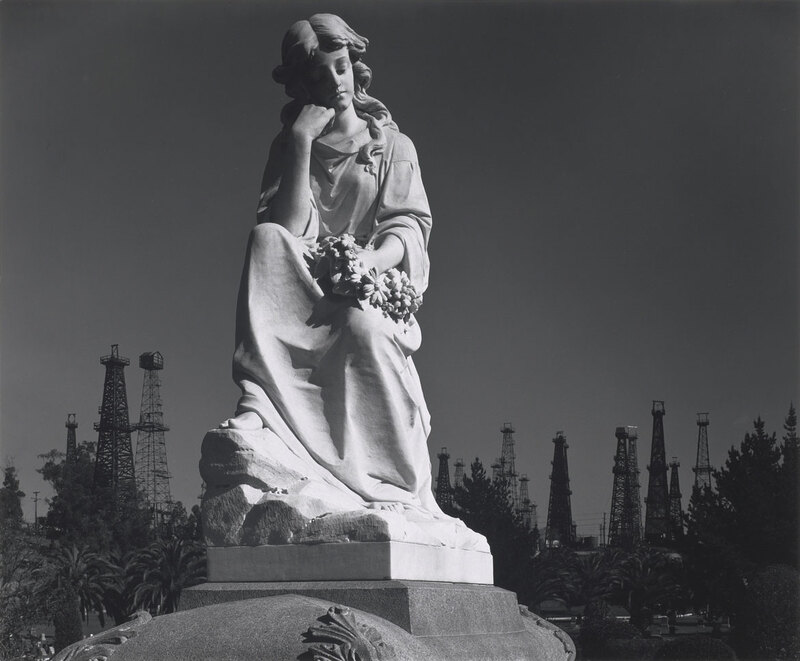 Though Adams generally objected to making socially-engaged art, he used his photos and his esteem as a photographer to promote environmental causes. In January 1936, the Sierra Club sent Adams to congressional hearings in Washington, D.C., to prevent Los Angeles from turning Kings Canyon into a drinking water reservoir. Adams subsequently sent a copy of his 1938 book “Sierra Nevada, the John Muir Trail” to U.S. Secretary of the Interior Harold Ickes, who presented it to President Franklin Roosevelt, who made the area a national park in 1940. When an old Sierra Club friend, Ralph Merritt, became director of the Manzanar Relocation Camp for Japanese-Americans imprisoned during World War II, he invited Adams to come document the facility in October 1943 and again in spring 1944. The MFA features Adams’s 1944 photo “Mount Williamson from Manzanar, Sierra Nevada, California,” looking across a boulder field to sunlight glowing on the mountain. “The reason he was in these places, this otherwise arid and empty landscapes, was this was during World War II and he was documenting the Japanese internment camp,” Haas says. Adams published a book “Born Free and Equal: The Story of Loyal Japanese-Americans” of his Manzanar work in late 1944. The photos were show at New York’s Museum of Modern Art in 1944—with some of Adams’s descriptions rewritten by the museum because they were deemed too political, namely too pro-Japanese-American. Adams’s activism continued to the very end of his life. In 1983, Adams was invited to meet with President Ronald Reagan in the White House. Despite Adams’s long opposition to Reagan, he went because he felt it was a chance to raise environmental concerns with a top leader who “had not met with even one major environmental leader” since becoming president, Adams wrote in his 1985 biography. Afterward, Adams felt the conversation ended up being fruitless. Adams might have said nearly the same thing. In his posthumous 1985 autobiography, he complained of people exploiting the resources of the earth “at the expense of the future.” He was an environmentalist and an activist, and he used his photos to promote his causes. 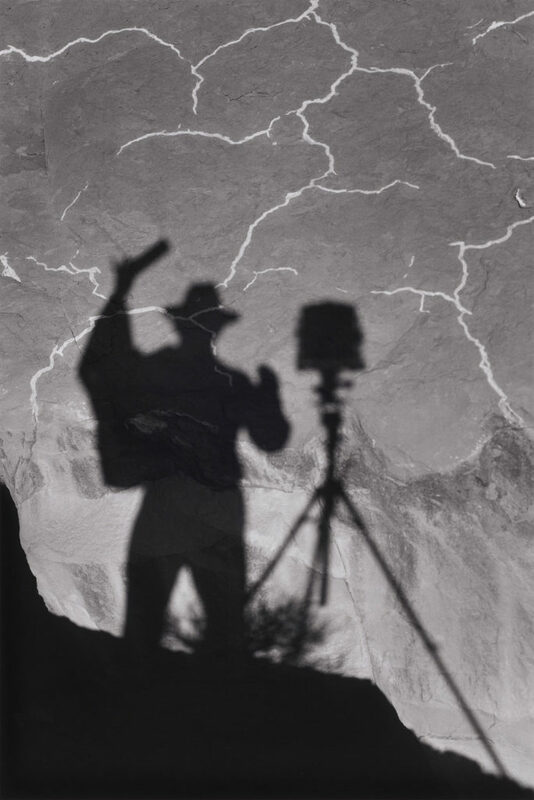 But he differed from the contemporary photographers Haas pairs him with in “Ansel Adams in Our Time” because he insisted that the photos themselves were not about causes, that they were about the grandeur of nature. Adams was also a technician, publishing several books about his process, but insisted it was all in the service of emotion. In Adams’s black and white photos the American West is an awesome, pristine, undeveloped Eden, empty of people and even animals. He wasn’t averse to erasing a road from a photo if it marred the natural look he was aiming for. 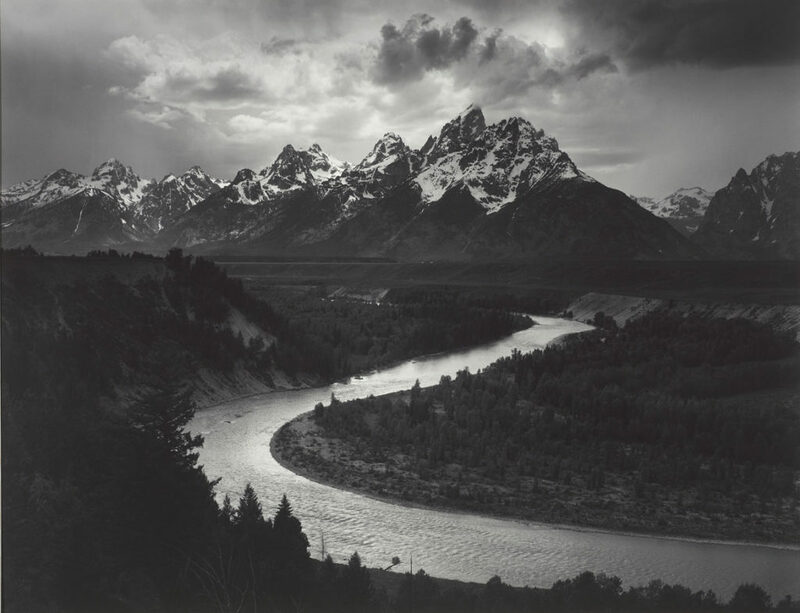 “Ansel Adams in Our Time” is a gorgeous survey of Adams’s work, featuring some of the greatest and most beloved photos of this country. But the pictures included by Emitt and other living photographers serve as a rebuttal. These photographers following in Adams’s footsteps insist on pointing out Adams’s artifice, on pointing out what Adams left out in his mythmaking. 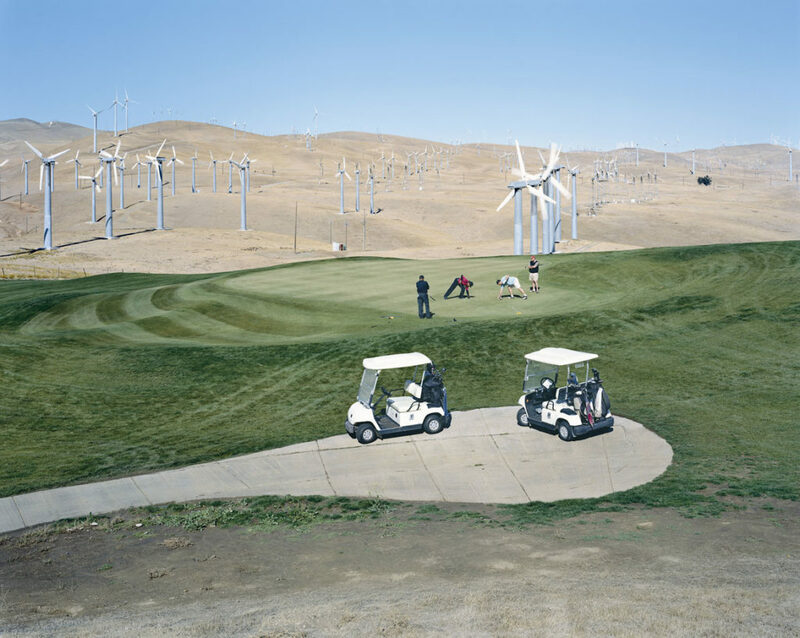 They want to make photos reckoning with the American West as it actually is—teeming with people and polluting industry and government installations. They want to make photos that are persuasive photos, even activist photos addressing environmental and social ills. They want to make photos that foreground their techniques.